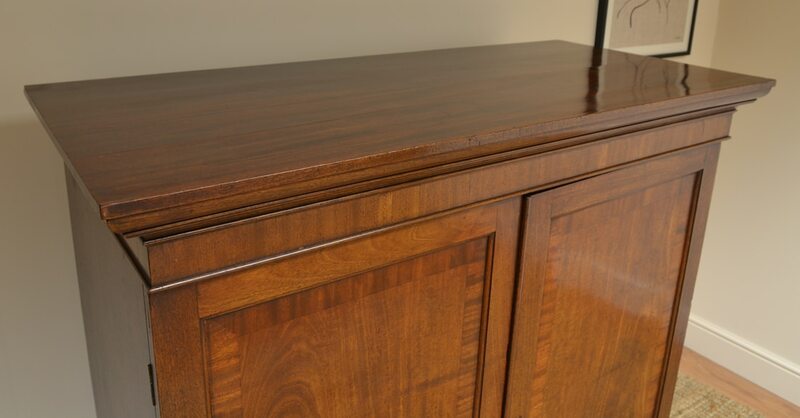 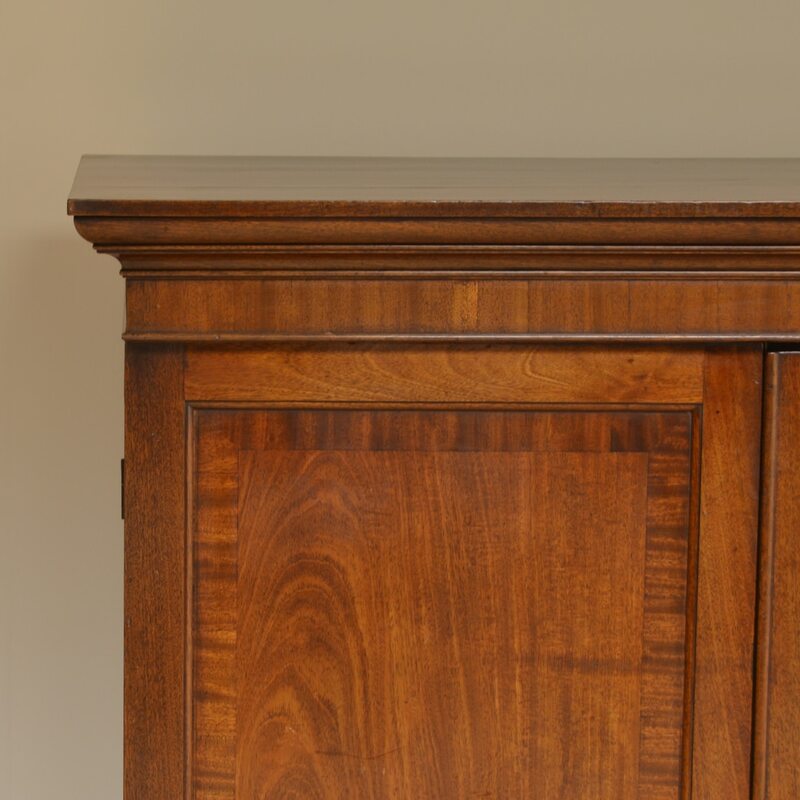 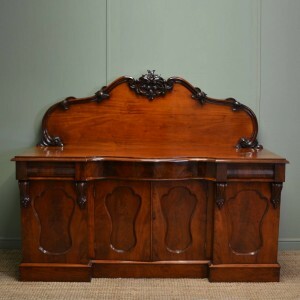 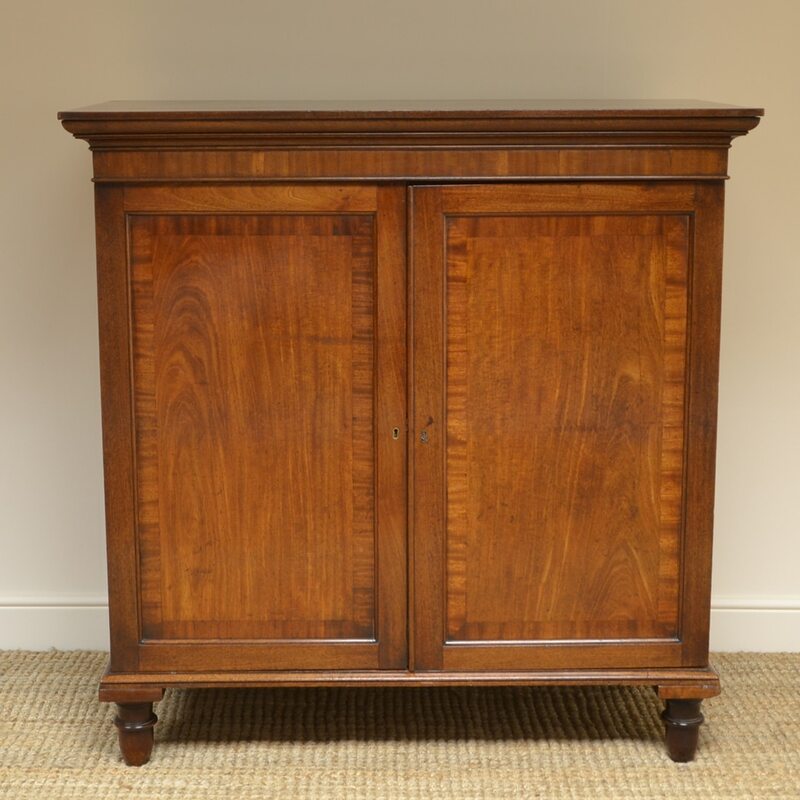 This country house Georgian Mahogany Antique Press cupboard ca 1800 has a moulded cornice and deep frieze above two crossbanded cupboard doors with key and working lock. 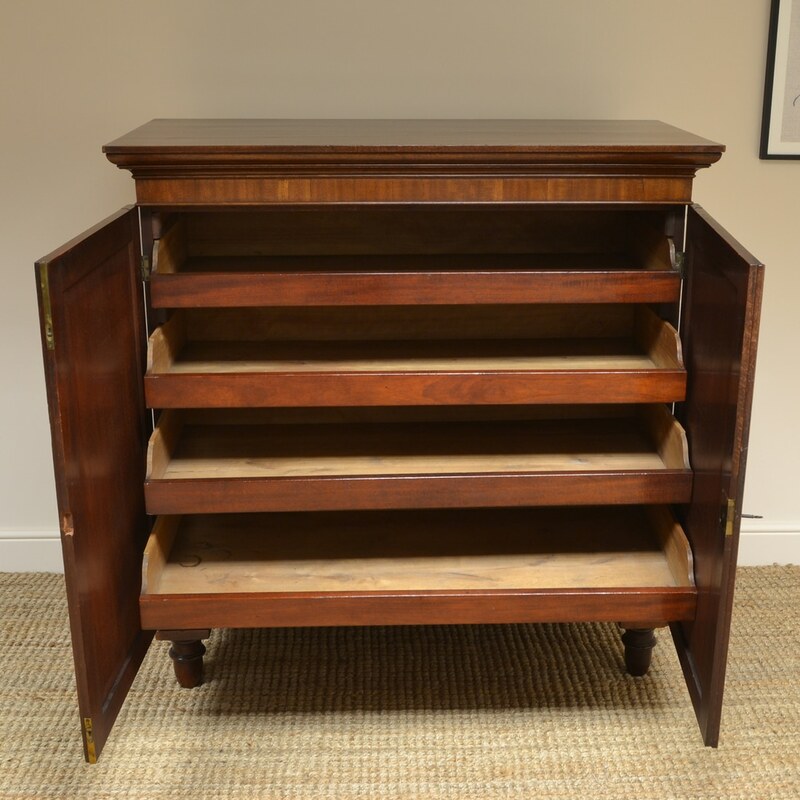 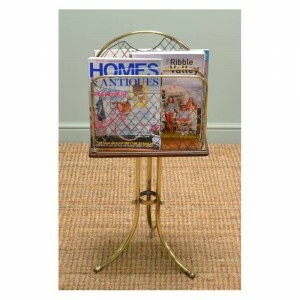 The interior has four shaped sliding linen trays and the piece stands on four elegant turned bun feet. 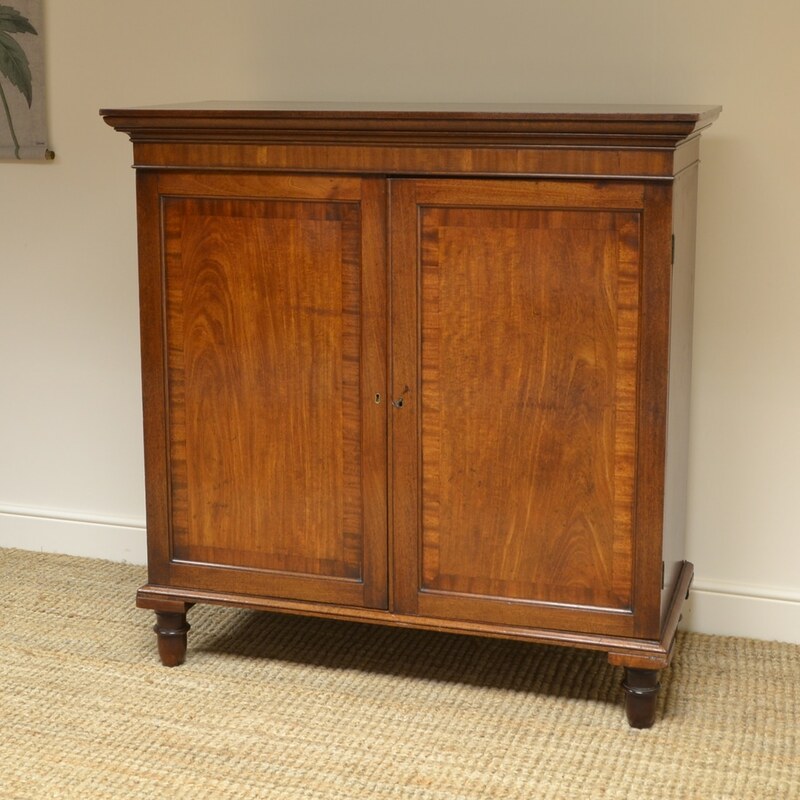 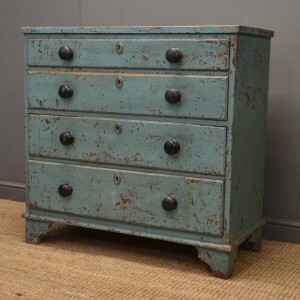 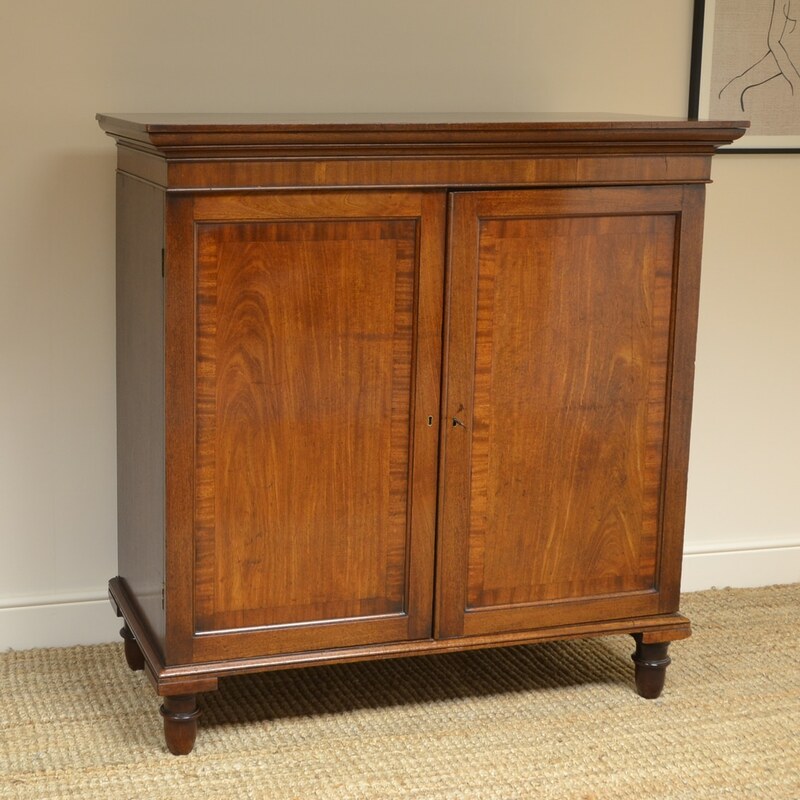 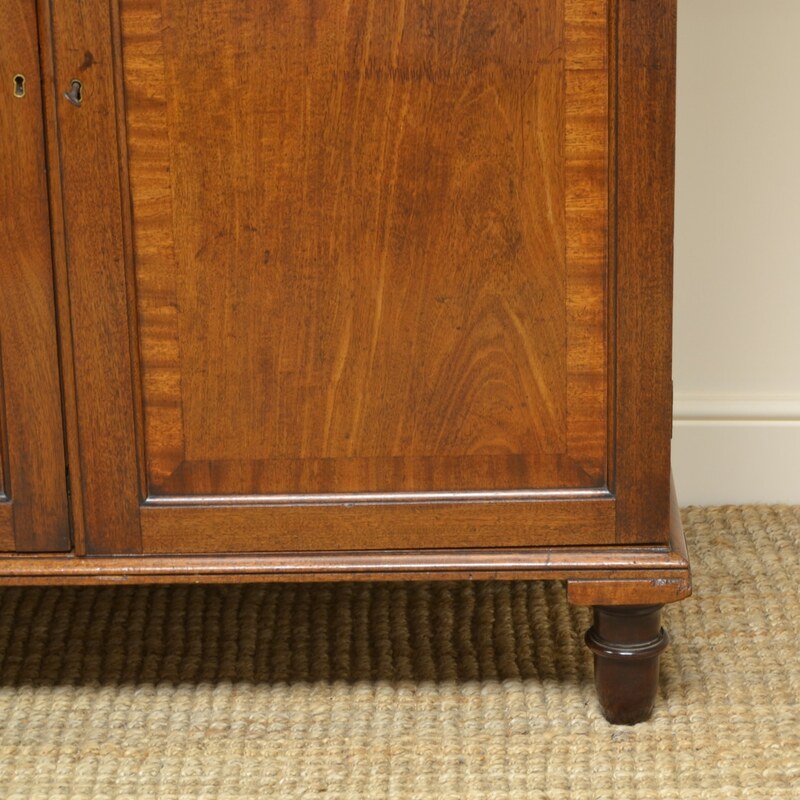 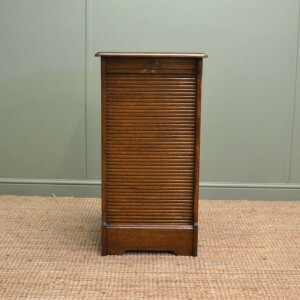 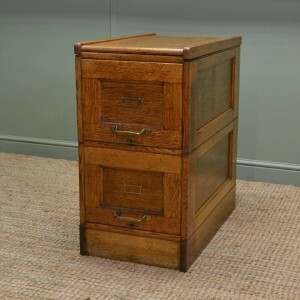 It has lovely country house charm and character, has possibly been adapted to this nice usable size and is a warm medium mahogany shade with a striking grain, good patina, is in very good condition and has been beautifully cleaned using a traditional form of wax finishing.